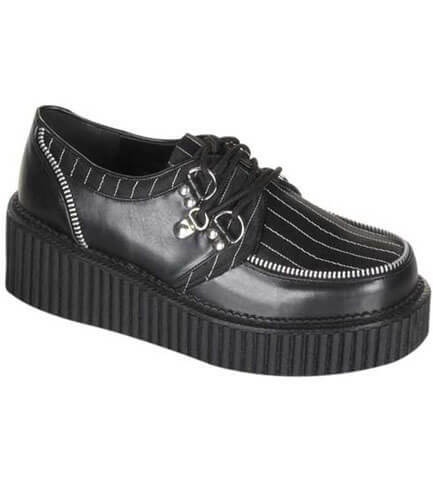 These pinstripe creeper shoes have a two inch platform. 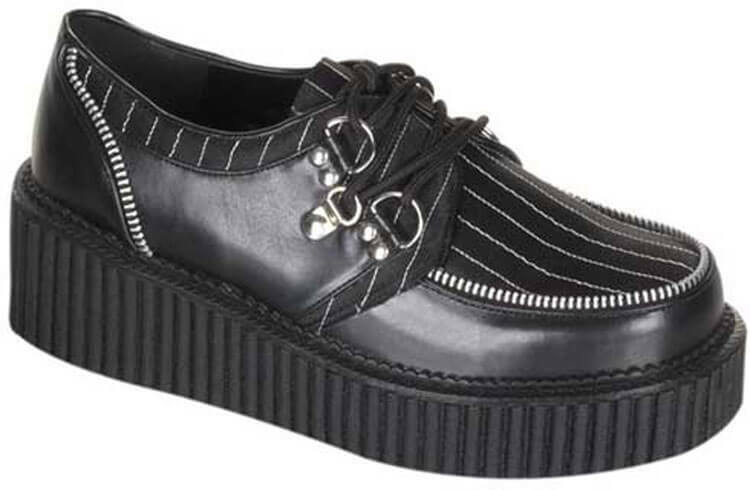 The tops of the creepers have pin-striping and the sides are black PU with zipper trip. They have a unique three D-ring lace-up. This is a wonderful shoe. I am female and short (5'2"). It helps with keeping my pants from dragging the ground. The two inch platform is not over the top for work. It is well made and the zipper detail is beautiful. It's comfortable,I wear it in a warehouse setting (10hrs). I love it and will get different pairs! I absolutely love these creepers!